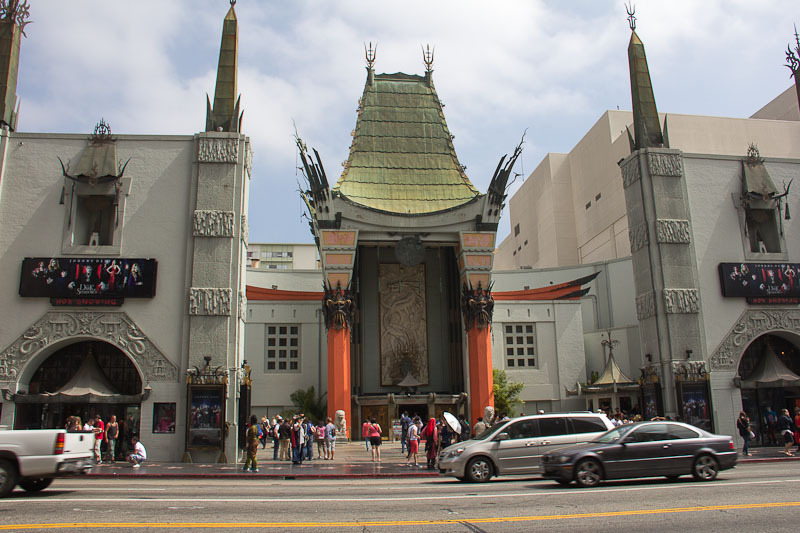 June 20, 2012 - Today we toured Grauman's Chinese Theater located on Hollywood Boulevard, next to the Dolby Theater (formerly the Kodak Theater). 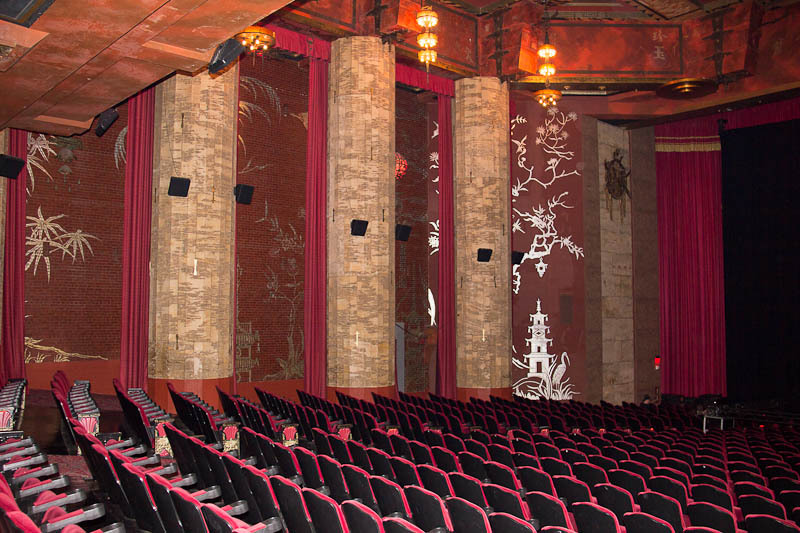 The theater opened on May 18, 1927 and it has been very well maintained over the years. 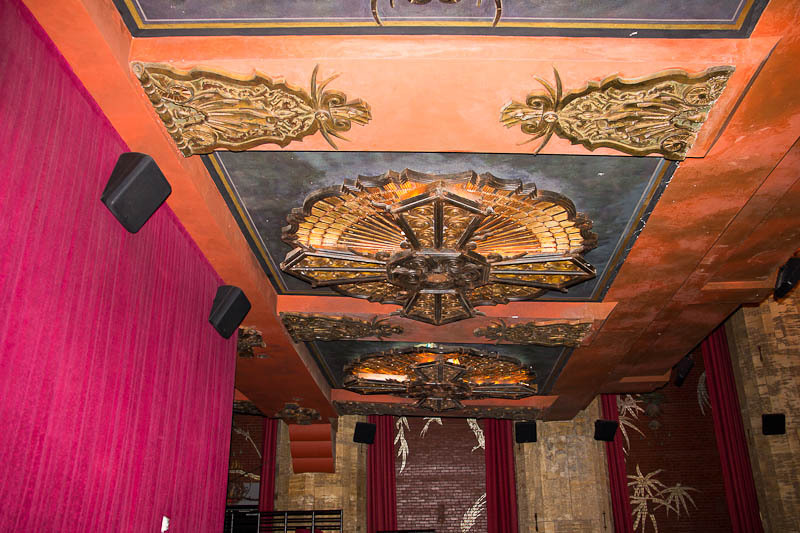 If you plan to visit this site, be forewarned, it's about as relaxing as taking a stroll through Times Square. 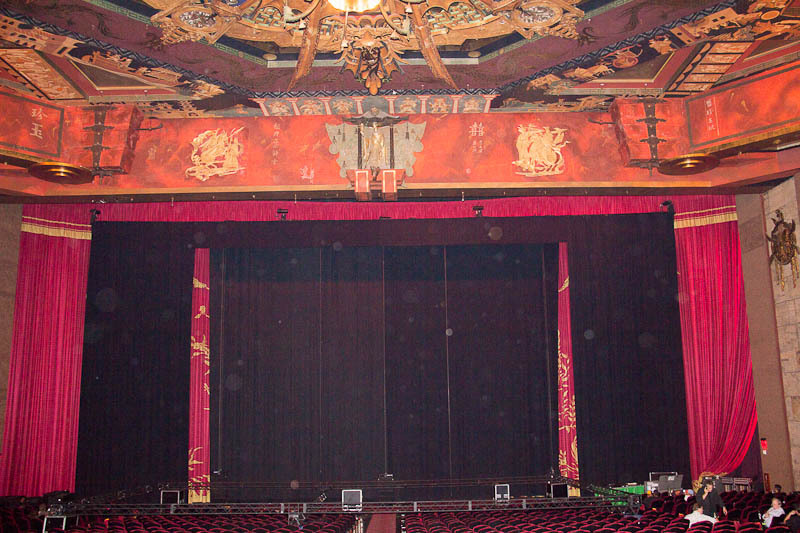 It's ground zero for tourists, tour operators and street hustlers. 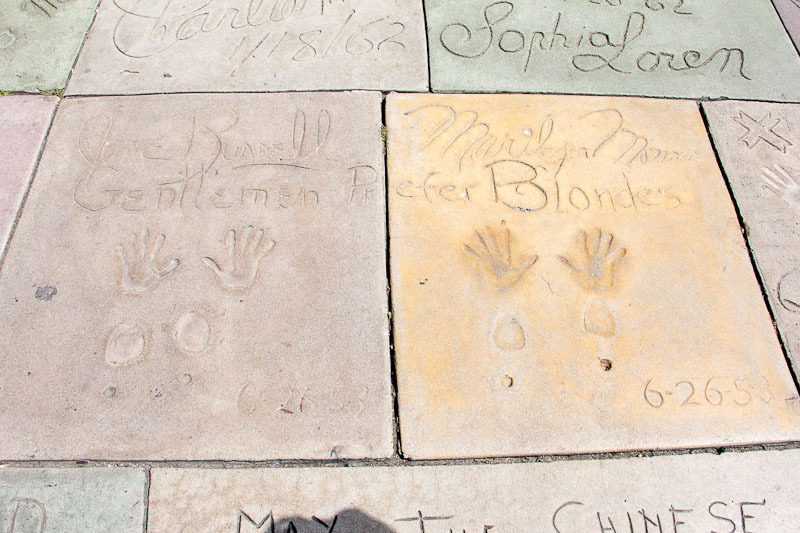 The forecourt area in front of the main entrance is where all of the celebrities hand and footprints reside. Marilyn apparently wanted to have a diamond dot the "i" in her name but she was persuaded to use one of her glass earrings instead. 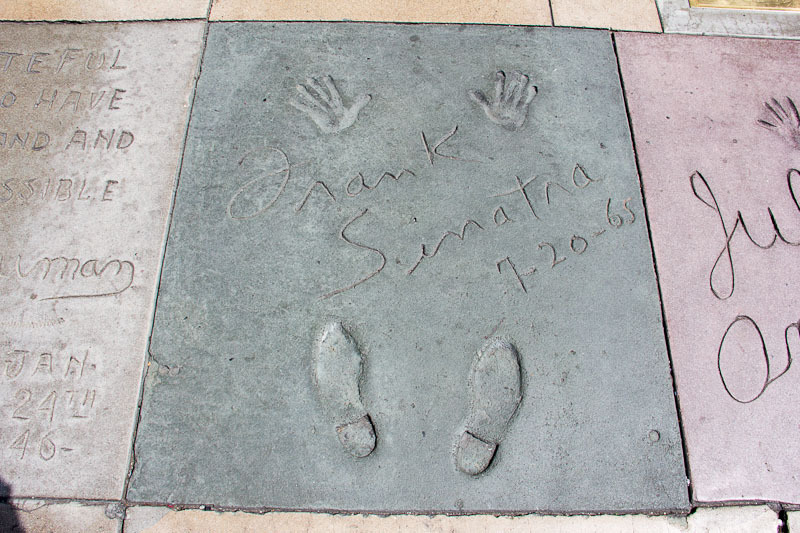 If you want to see a full plan of the forecourt area which shows all of the celebrities either memorialized or immortalized here, follow this link. 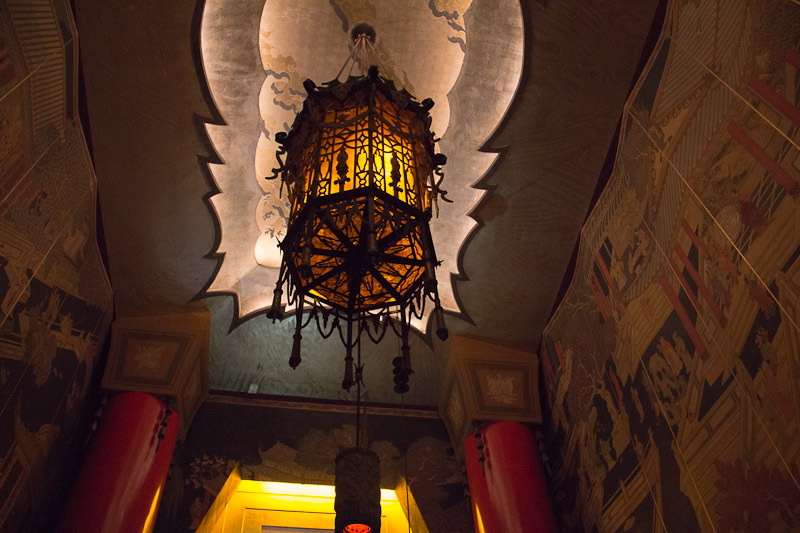 Most of the interior architectural features were imported from China, including this carved wooden "star" ceiling. 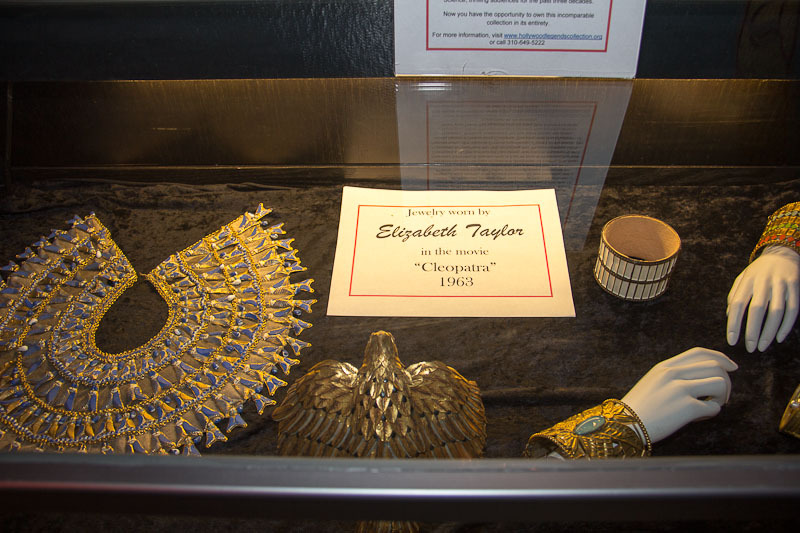 There are many original movie costumes and pieces of jewelry on display here as well, including these worn by Elizabeth Taylor for the movie "Cleopatra." 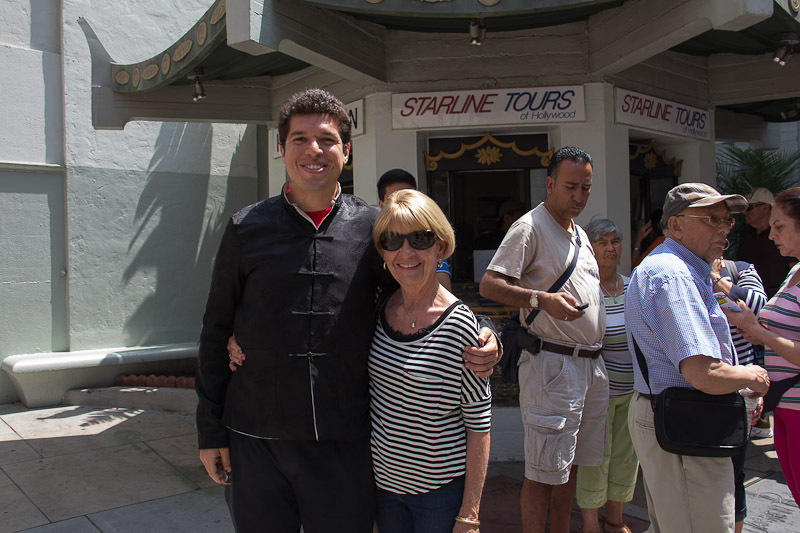 We enjoyed our tour conducted by our Venezuelan tour guide.